hello fellow rennlisters I thought this was a good thread. So rather than blow it up or have it self implode I'd post. Wasn't this about people and porsches. esp 993's. Mother superior has got me all freaked out and leland good to see you post. That speedo pic. Dude that's sick. I have excepted the fact that my car will never see that speed. I wish I had an autobahn. So here it is my first de and my sisters little girl courtny. enjoy. 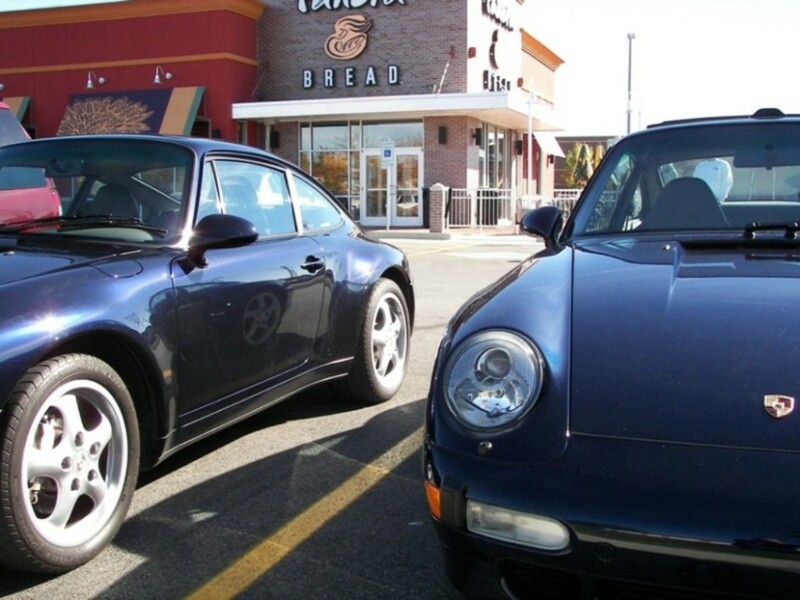 And.. Oh yea my 993. Wasn't this about people and porsches. esp 993's. 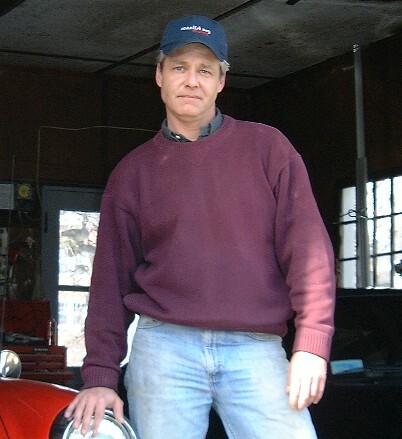 Let's keep this thread to the "Ugly Mug and Car" Thread, not the "other" stuff. Now Eric, I thought you were one of the good guys. You are selling clear bras eh? It might be a good idea to be friends with me and not an enemy, it may (will) effect your pocket book. Can we have some pictures of the clear bras? 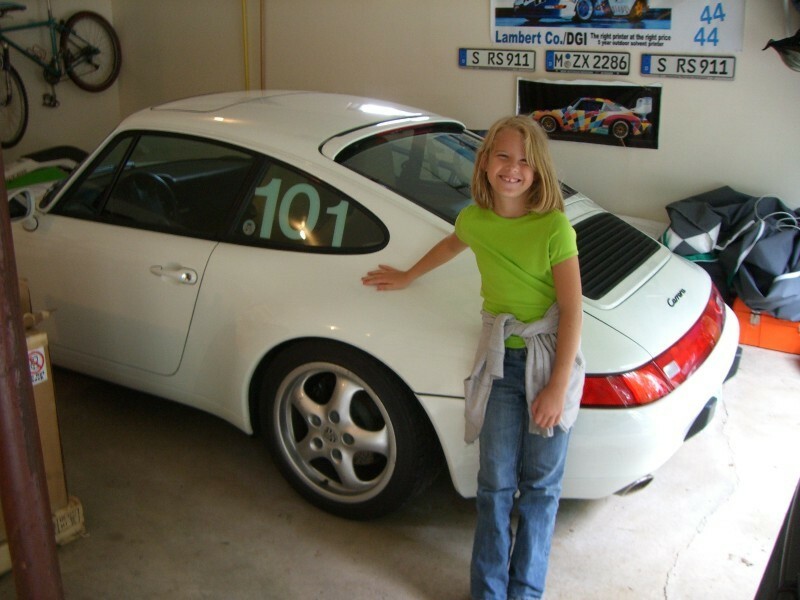 I don't think I have one with me and my 993? Well, I suppose you now have your marching orders. We hold a spot for ya. In the spirit of continuing to get this thread back on track, some more pics. The first two are off my C4 and it's big brother C4S owned by a buddy of mine. 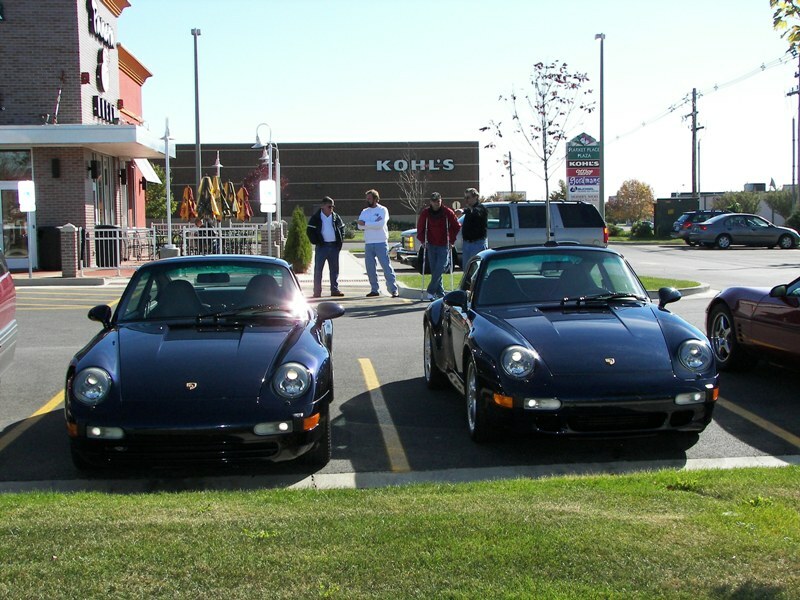 Neat story in that he sold my C4 (on left) to buy this S which is the same color, same interior, etc. 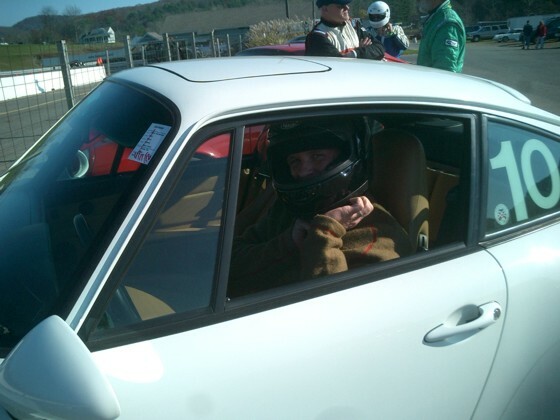 It has been neat to learn about all he did to the car and the history over our PCA dinners. Our first pics together. The last one is of all my kids. 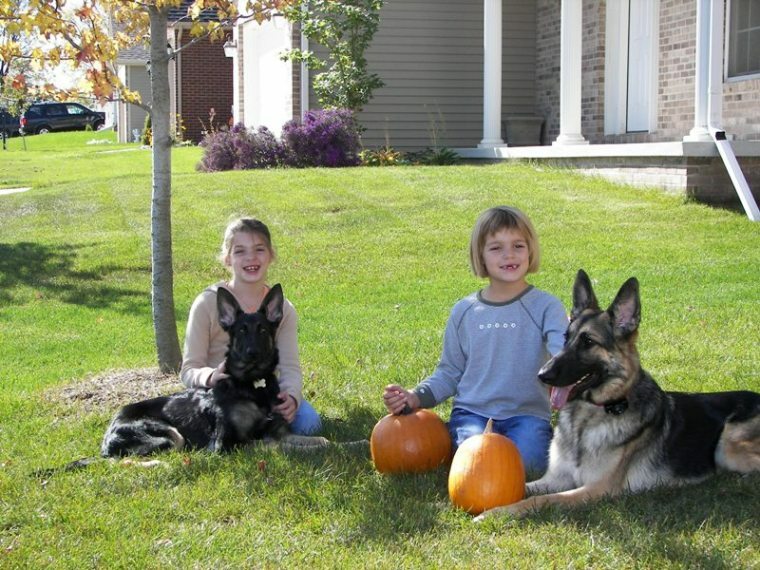 Both my girls and both GSDs on a nice sunny October day. Me after 30 hour drive to pick up new toy. Holy Mooly, Tim.....and I ain't talkin' about you. That RSR looks like a blast! Wow, that is an awesome ride Tim. That takes my idea of picking up a dedicated track car to a new level. What is the history on the car? Congrats. Track touring? Autocross? Blowing everyone off the track? Last edited by Mike in Chi; 11-07-2006 at 01:50 AM. I like this shot taken by an organizer at the Porsche Parade 2004 in Spain. LOL, I loved it! My situation exactly. We went to Europe 18 mos. ago, long story short, I have LOTS of pics of the sunroof mechanicals on the (rented) 997. BUT i have this one working on the pair of 8V71TT engines of my boat ..